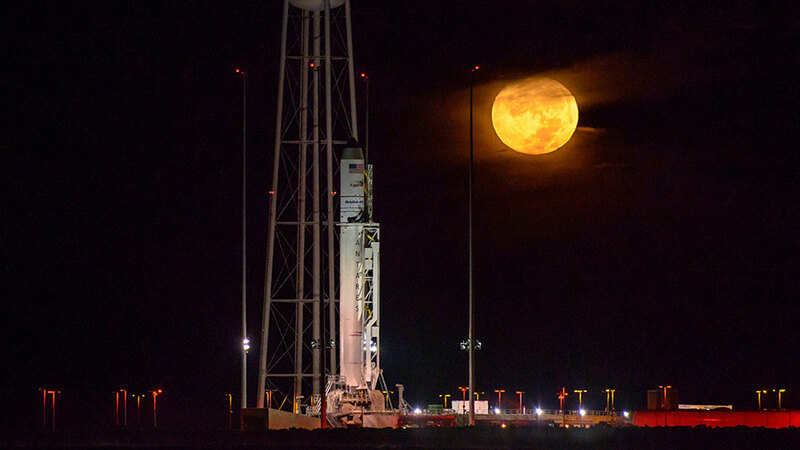 Liftoff is scheduled to occur during a five minute window beginning at 7:40 p.m. EDT from the Mid-Atlantic Spaceport’s Pad 0A at NASA’s Wallops Flight Facility in Virginia. Cygnus is loaded with about 5,100 pounds of science investigations, food, supplies and hardware for the space station and its crew. When Cygnus arrives to the space station, on Sunday, Oct. 23, Expedition 49 Flight Engineers Takuya Onishi of the Japan Aerospace Exploration Agency and Kate Rubins of NASA will grapple the spacecraft. They will use the space station’s robotic arm to take hold of the Cygnus, dubbed the S.S. Alan Poindexter. After Cygnus’ capture, ground controllers will command the station’s arm to rotate and install it on the bottom of the station’s Unity module. The Cygnus spacecraft will spend about 5 weeks attached to the space station. Cygnus will remain at the space station until November, when the spacecraft will depart the station and initiate the second spacecraft fire safety investigation, Saffire-II, and then dispose of approximately several tons of trash during its fiery reentry into Earth’s atmosphere. The countdown uses both a range countdown clock (L Minus Clock) and a software sequencer (T Minus Clock). The launch countdown is initiated with the Range Clock at L minus 6 hours 15 minutes and is a running clock. The T Minus Clock is initiated at T minus 3 hours 10 minutes (sequencer start-up) and stops with built-in holds.